Ratnamani's internal liquid coating plant is designed to apply a suitable spray coating on the inside surface of pipes for transportation of oil, gas, water & any types of liquids. 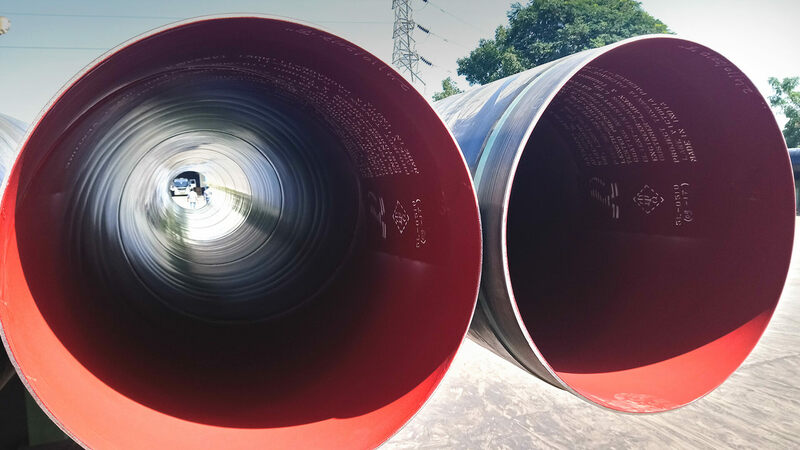 Liquid Epoxy coating is applied on abrasively cleaned internal surface of pipe with the coating thickness minimum 60 µm & Maximum up to 2000 µm with single or multi coat as required. 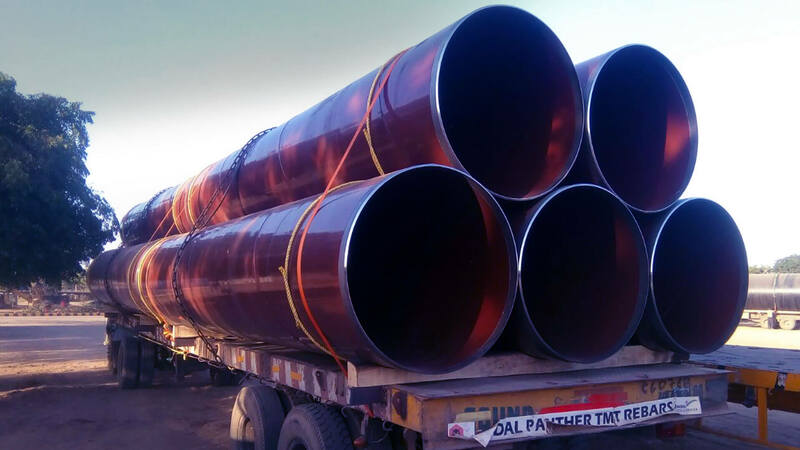 Coating can be applied by using Liquid Epoxy (single or dual component), having characteristic with solvent base or solvent free epoxy which is applied to give smooth internal pipe surface for improved flow and also to provide corrosion protection for the internal surface of steel pipes. This will result in reduction of friction and increase in flow efficiency. Internal Cement Mortar Lining plant is designed to apply a suitable Cement Mortar Lining on the internal pipe surface, per AWWA coating specifications. Typically used for transportation of water or sewage. Internal cement mortar lining is performed by use of a spinning machine, which rotates the pipe causing the cement mortar to adhere centrifugally to form uniform, smooth, and dense protective lining. Once completed, water is sprayed and ends are capped as per the curing procedure and customer specification for guaranteed strength and protection. 1 Pipes can be supplied as per Customer Specification also.